Some tours are accomplished by hopping from city to city by plane. This time it’s a road trip, with the special joy that my husband is traveling with me. True, it’s a lot of driving—about 2,000 miles by the time it concludes. But we’re traveling through some of the most spectacular scenery on the planet. We’re either listening to excellent audio books or having good conversations. And along the way, we’re meeting some of the greatest folks in the book business. The tour takes me to a mix of small and large bookstores, and a cross section of indies and major chains. Honestly, I love them all for different reasons. In this posting, I want to celebrate the independent bookstores and the booksellers who make them work. From the moment you walk through the doors of an indie store, you’re greeted with the same kind of individuality you find when you visit a private home. Styles and colors, layout and displays, sections and flow, are distinctly different from one store to the next. Some are lavish with their allocation of space; for some, the spaces are intimate per force. My tour started at the Tattered Cover’s third store, an expansive retreat in Highlands Ranch, a Denver, Colorado suburb. For an author, a signing at TC signifies achievement of a key landmark. I knew it for sure when I was greeted by Jinx McDonald, who’s been their event coordinator since the branch opened its doors seven years ago. She wears her aura of wisdom humbly, but she easily demonstrated her knowledge of books, author events, and human nature with the unassuming grace of a master. As I left that evening, after a fond farewell she promised, “We’ll sell more of your books for you.” And I knew I now had an important ally. My next stop was Moby Dickens in Taos, New Mexico, a store that radiates charm and resembles a lovely home to which you desperately want an invitation to afternoon tea. The name alone probably would’ve done it for me—I write about whales and write serial stories like Charles Dickens, after all. But then the lovely event coordinator Alberta Boykin won my heart when she chose to serve cinnamon buns at my event. Why? Because that’s how I knew she’d read my book in advance, and chosen a recipe from its pages. Needless to say, she and her team of booksellers made me and all the readers who attended feel like special guests. Next was The Worm Books & Music in Sedona, Arizona, a sparkling jewel of a store tucked into a designer-mall, a place luminous with the special light of that spectacular region, and welcoming in its hand-picked selection of both national and local books. Owner Michael Eich was an expansively generous host, offering me, my publicist, and all who attended a comfortable seating area and lovely background music. What might’ve been most telling about The Worm was that all the other nearby shop owners stopped by, obviously trusting that any author he invited would be of interest. Another favorite of mine is The Book Haven in Salida, Colorado, where I did a group signing last summer. And the last indie on this tour will be the Book Loft in Solvang, California, long a favorite destination of mine, and a place I’ll be thrilled to visit soon (Monday February 13th). All these stores belong to Indie Bound, a marvelous organization whose mission is to help people all across the country find and share independently owned businesses. As they put it, they’re “working to strengthen the health of Main Street ecosystems.” Nothing could be a better match for my novels, which focus on life in a small town full of independently-minded individuals who own businesses. So I truly love the Indie Bound mission. As a reminder . . . it’s almost Valentine’s Day, and What the Heart Knows is nothing if not a heart book—a perfect Valentine’s gift for someone special . . . like you! Each of the stores I visited or will visit on my tour asked me to sign extra books, and they’re waiting for you at your local bookstore. The world is a better place because of indie bookstores. Let’s keep supporting them so they can support us. 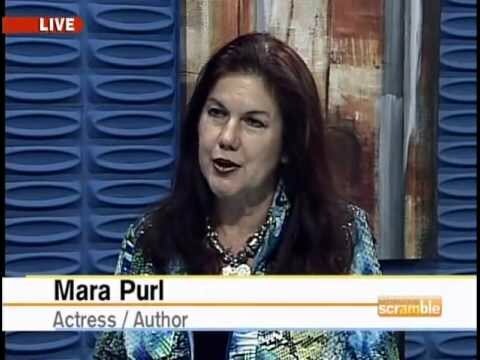 www.MaraPurl.com to have my newsletter sent to your mailbox every month. This entry was posted in Uncategorized and tagged independent bookstores, indie store, Milford Haven. Bookmark the permalink. Who knew??? We were producing this crazy show “Dukes” and lots of people were watching it. And I was watching you sitting in our production office and wondering if my impending marriage was the way to go. Why were you staring at me? Turning my head? Losing my attention? And then you were gone. Ralph! How amazing to hear from you! I was in the “Dukes” office because I was writing an article for On Location Magazine all those years ago. Later I returned to my acting roots and was on “Days Of Our Lives,” which led to my creating my own radio soap, which in turn led to the novels I now write. Your story sounds like a good start to a film, no? Life is good. Thanks so much for writing!